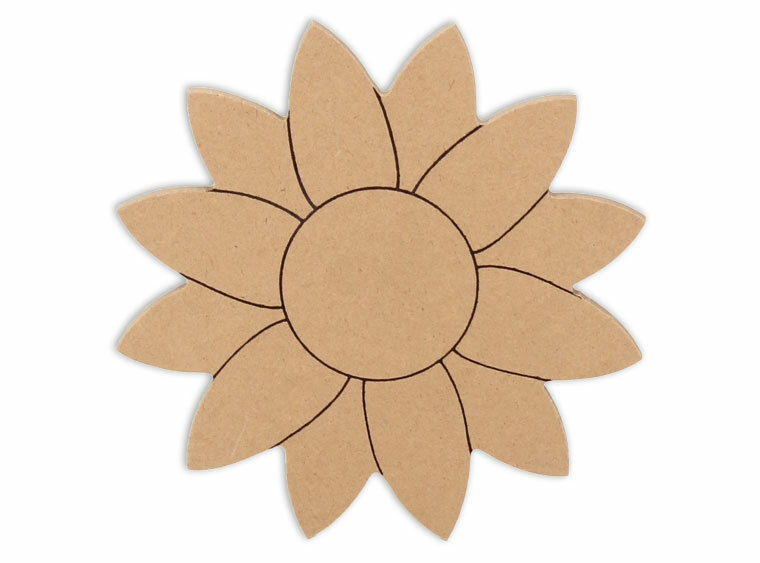 The sunflower MDF piecce will show the brillance and beauty of sunflowers! Our exclusive MDF shapes make mosaic and mixed media crafts easy. Add tiles, grout, paint, and more to create a one-of-a-kind creative masterpiece. These shapes are made from high quality MDF board.